You hear a lot these days about the end of government sponsored currency, aka, the cash in your wallet. The experts claim digital currency (Bitcoin, etc) will be become the choice of payment in the future. Some claim it is already here while other claim it has already failed. At the moment one thing is sure. 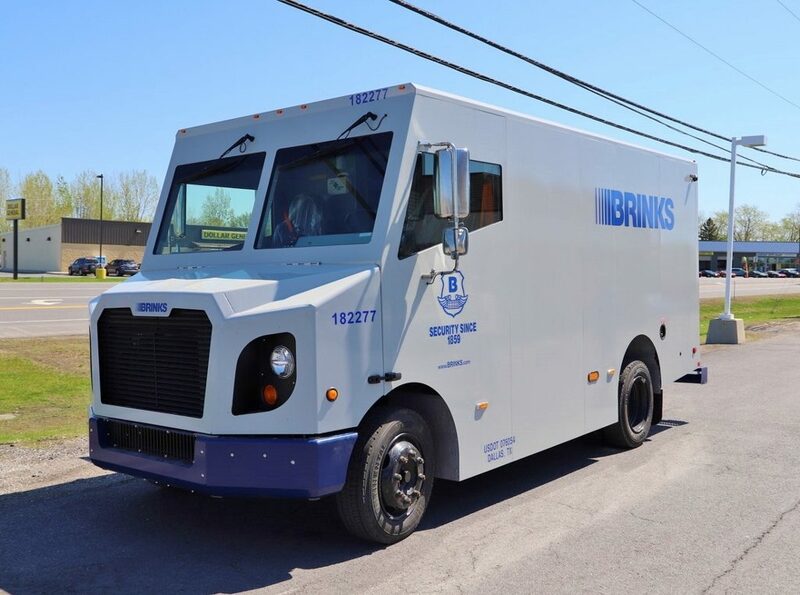 Cash is still king and as long as it is the armored car will have a place in our society. Hugh shares with us some shots of new rigs as they leave the their manufacturing facility in Quebec, Canada for their new homes. The handsome fellow seen below sits on a Freightliner chassis. Hugh tells us the trucks are often placed two per trailer . However they are never mixed with trucks of the competition. 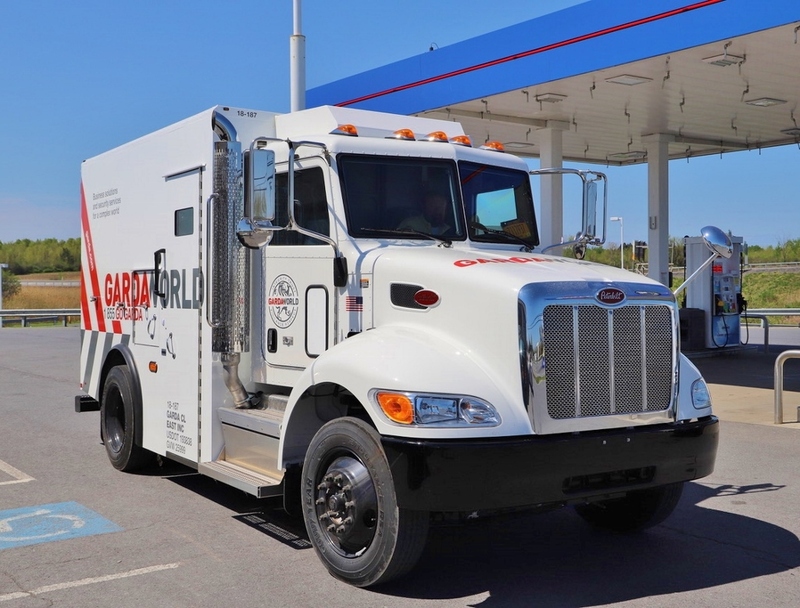 This tandem axle Peterbilt looks like a truck that would be used to carry large amounts of coin or other precious metals from one central location to another. 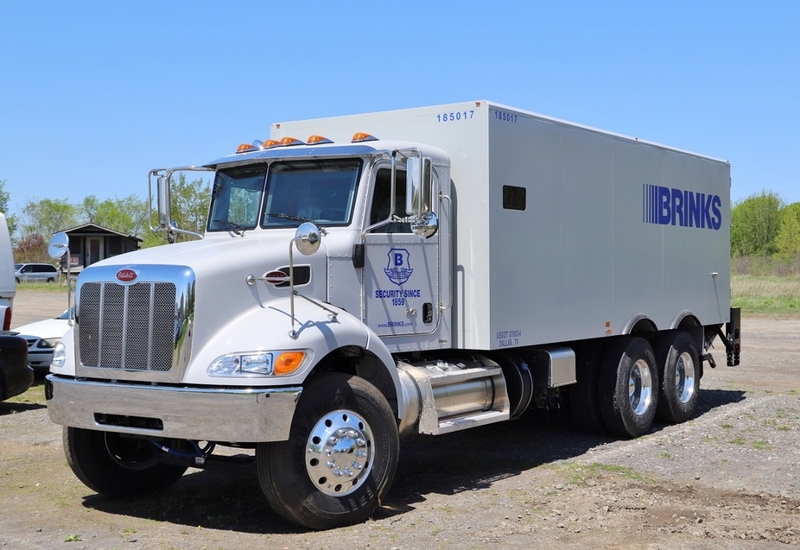 It’s hard to tell just by looking if contains upgrades over the standard Peterbilt cab. The glass does appear to be thicker which would imply that extra steel has also been added to the doors. This entry was posted in On the Job and tagged armored car. Bookmark the permalink.